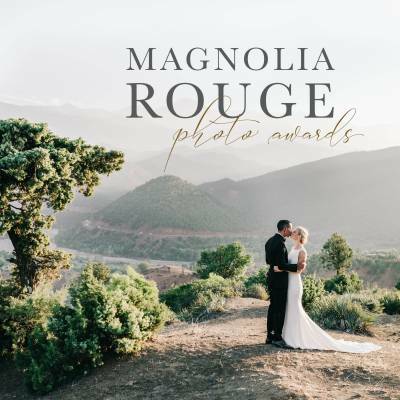 Seattle wedding photographer BLUE ROSE PHOTOGRAPHY is an absolute master at capturing beautiful wedding inspiration - and best of all for you brides planning your wedding, there are so many ideas you can take from these shoots and recreate for your own wedding. 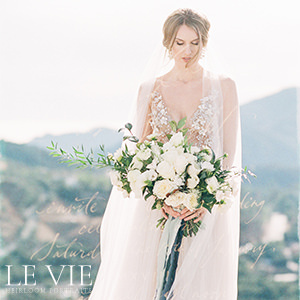 Seattle wedding florist GATHER DESIGN CO. created a wild desert bouquet, featuring pampas grass and eucalyptus tied with grey leather ribbon whilst gorgeous white gowns from RUE DE SEINE and HOUGHTON NYC were striking in the desert tones. This stunning feature from Issue 18 of Magnolia Rouge Magazine was inspired by the beautiful landscape of Frenchman Coulee in Quincy, Washington. Brittany tells us, "It has amazing rock formations and sand dunes all formed from various floods throughout history. It is a desert oasis filled with natural colours of beige, gold, and sage green. 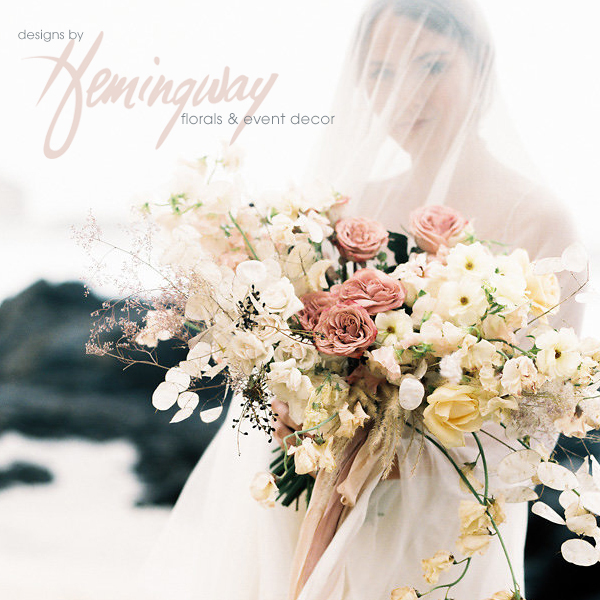 I love this colour palette and when I laid eyes on this place for the first time I imagined a beautiful elopement and what that couple might look like and what they would wear. I am often inspired by locations and parts of nature. I knew this would be a bohemian free spirit type bride but I wanted to add my own minimalist twist on this look. We used a simple yet beautiful constructed Houghton NYC gown that would highlight Kaitlyn’s warm tan and dewy makeup. Jen from The Outer Edge created the perfect bridal ponytail that helped give the clean lined look I wanted to add to this otherwise bohemian style. Amy from Gather Design Co.
"The cake was something I have dreamt of for a while but was never sure if it would be possible. I had never seen and could not find examples of a cake debossed with typography. When I mentioned my idea to Carla of Honey Crumb Cake Studio she was excited to take on the challenge. She added in the ripped edges element to mimic the ripped edges of the hand written vows and I loved that creative touch. 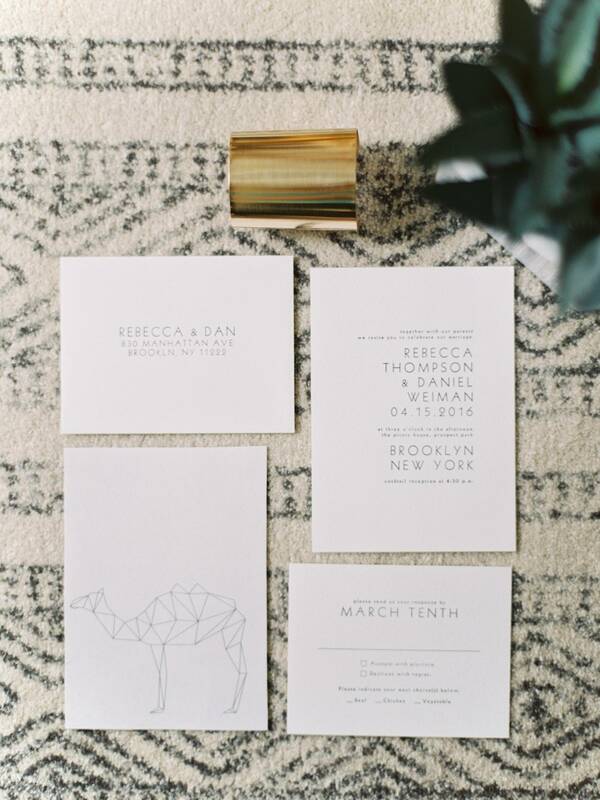 The Save The Dates were the same concept with the clean white canvas and debossed type. 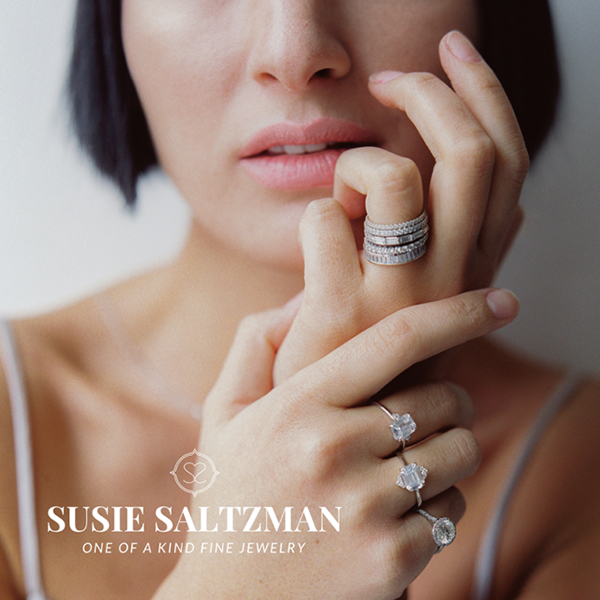 My goal was to create a minimally-styled look that would not distract from the beauty of the surroundings but work with it and blend in." 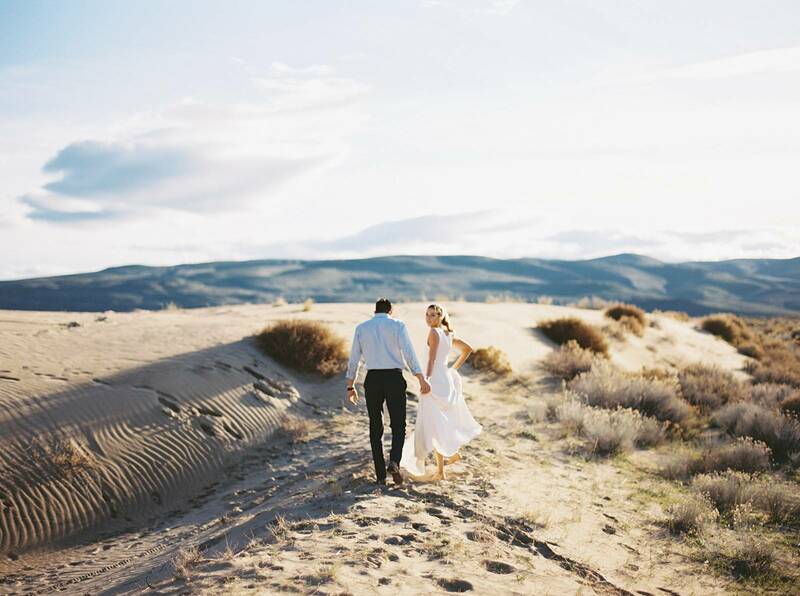 A huge thank you to Seattle wedding photographer BLUE ROSE PICTURES, for sharing this truly beautiful sand dune wedding inspiration with us today. If you're looking for a Seattle wedding photographer be sure to check out more of their work in our Vendor Guide. 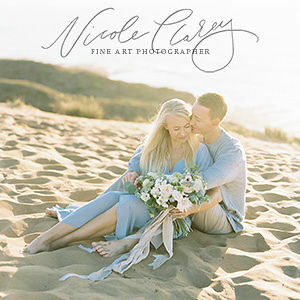 Shooting all over the west coast, this married couple team are inspired by light, textures, relationships and natural landscapes. You should also be sure to see this Colourful and Vibrant Spring Wedding Inspiration by both of these vendors.